Roseanne is the latest 1990s sitcom to receive a revival, but plans are still being ironed out. A network hasn’t even signed on to air the series. The entire cast, including John Goodman, is returning for the revival. 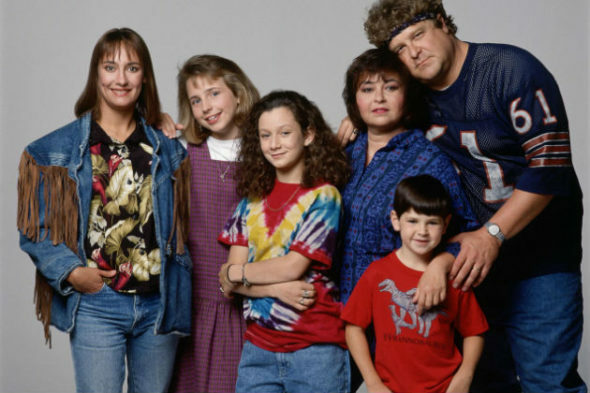 Roseanne Barr first teased the desire for a reunion last month. Are you a fan of Roseanne? Will you watch the revival? Tell us what you think. I’d tune in for this one, too. It was pretty darn funny then and with a great cast & writers it’s sure to be funny again. Great idea! Looking forward to watching the revival, especially with Dan in ghost gettup!!! Most definitely would watch, l watch the old school reruns every Saturday, absolutely love the idea and Roseanne show. I would love to see a revival! “Roseanne” was a great show! So many shows are being cancelled, we could use a good, funny show back on the air..make it happen! It would be wonderful. Such a wonderful show. Very talented cast. Curious how they will explain dan still being alive. I am all for a reunion show. But Dan was killed off. How can he come back???? That would be great especially if everyone was coming back!!! I will definitely watch! I can’t wait for it to come on. Please keep me informed! I hope it’s not going to be on cable. I don’t have cable. Thank you! Definitely, I LOVED the show. I watch the reruns all the time. I can’t wait for the revival. I hope it comes back full time, not just for a few episodes. YOU BET I WILL WATCH. THAT SHOW ALWAYS MADE ME LAUGH AND I HAVE GOTTEN SOME MY BEST JOKES FROM “THE CONNERS”. I will probably tune in for the first one or two eps. I watched the original & since the original cast will be back, I’m curious to see how it goes. Yes I will definitely watch!